We are bringing high school students together from all backgrounds to experience the Holocaust by Bullets Exhibit. The tour includes a pre-exhibit overview, exhibit tour, and space for debrief and reflection as a group. The Holocaust by Bullets exhibit focuses on the mass shootings of Jews and others that took place throughout Eastern Europe by the Nazi mobile killing units from 1941 to 1944—and the mechanisms of mass violence generally. It pays homage to the memories of the victims while seeking to promote a proactive movement against genocide. IS THE THOUGHT OF COLLEGE STRESSING YOU OUT? BJTI IS HERE TO HELP! We’ll cover everything from how to find the right school for you, to how to write the best essay. This is for juniors and seniors in high school. Come to the Boulder JCC to learn about the Joyce Zeff Israel Study Tour (IST). IST is a journey of a lifetime and life-changing experience. From sunrise at Massada to Shabbat at the Western Wall (Kotel), it combines extraordinary adventure, exceptional leaders, a commitment to education, Jewish values, and years of experience to guide students to learn, explore, discover and soak up every moment. Students have the opportunity to become more independent, learn more about themselves, connect to Israel and strengthen their Jewish identity. IST is one of the premiere Israel teen trips and is the longest running annual community-based Israel trip in the U.S. It’s a 5-week immersive program where we spend the first 4 days in Poland then the next 30 days in Israel. The trip is for students that are currently juniors in high school. Monday, July 23, 7:00 - 8:30 p.m., location tbd. Back in Denver by popular demand, Moving Tradition's Chief of Education and Program, Rabbi Daniel Brenner, will co-lead a workshop for parents and teen educators. Rabbi Brenner will offer an expert's perspective on issues facing teens today (stress, anxiety, social isolation, technology, conflict with authority, etc.) and what tools Jewish wisdom offers us as parents and as educators. Parents and educators will have the opportunity to reflect on these issues in relation to their own child/student(s) and get a taste of Moving Tradition's innovative teen programs, Rosh Hodesh, Shevet, and Tzelem. 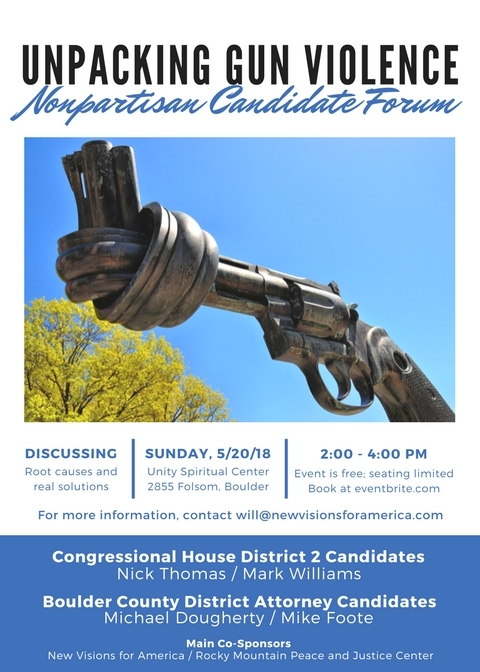 Click here for more information and to register (no cost to attend). Please contact Jen Kraft, Moving Traditions Colorado Director, for more information about either of these upcoming events. The Big Deal: End of School Celebration! School is out for the summer! Celebrate the year with outside games and BJTI at the Rayback Collective. Drop by whenever you can. 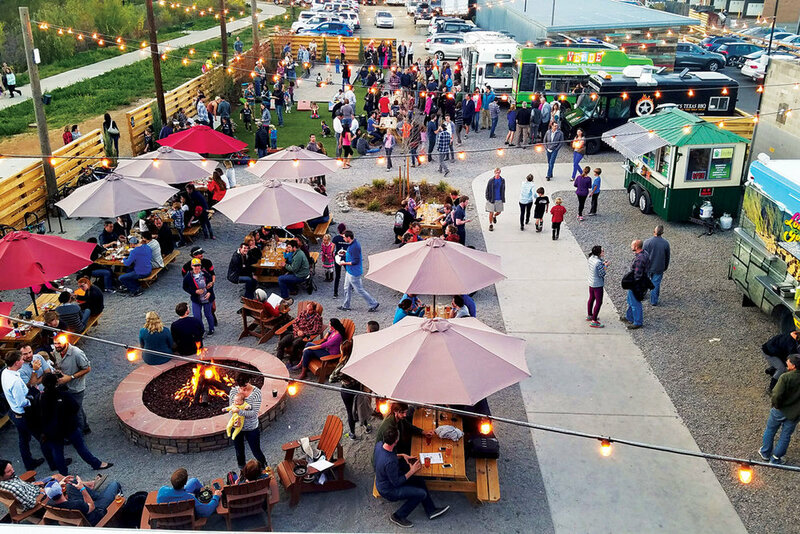 Bring some cash to buy Kombucha or food from the food trucks. BJTI will be providing snacks for the table! Let us know if you plan join us! The Parenting Safe Children workshop offers valuable information, ideas, and tools to help you prevent child sexual abuse in your home and community! The workshop covers three prevention areas and empowers you to discuss body-safety with children and caregivers in a positive and effective manner. This 4.0 hour workshop is for parents, relatives, educators, therapists—anyone who cares about children! Identify what makes children vulnerable to sexual abuse, so you are empowered with the facts. Learn body-safety rules, so you can teach your children about personal body safety, in an age- appropriate, positive, and non-threatening manner. Develop screening techniques, so you can decide more confidently which caregivers you want to entrust with your children. It’s never too early to start talking with children about keeping their bodies safe. By starting early, you can create an environment that fosters safety and open communication. Please join the BIET - Boulder Israel Engagement Team for this community-wide celebration of Yom Ha’atzmaut, Israel’s Independence Day. Yom Ha’atzmaut is produced by BIET– Boulder Israel Engagement Team, a partnership between JEWISHcolorado and the Boulder JCC. J-Serve: Be part of international movement of Jewish Teens committing to a cause! Step 1: Register. If your organization wants to be a part of JServe, keep an eye on your email for the registration form! Either email raltman@bbyo.org or sign up today on our email list to receive all the updates and interest forms. Step 2: Incorporate your chosen cause/partner organization into at least three programs by April 15th. Be creative! This can include clothing drives, volunteer opportunities, education, and more! Step 3: Join us on April 15th for a project showcase and advocacy training! Show off your projects to the community and give your teens the opportunity to learn about the next steps in their service, advocacy, and community involvement! Please reach out to Rocky at raltman@bbyo.org with any questions! Join us for pizza, mixers, and a presentation by Holocaust Survivor Barb Steinmetz. There will be an opportunity for asking questions following. Optional: Stay for the community-wide commemoration service! What does it mean to be a collaborator? What does it mean to be a decent human being? What might it be like to be an outsider in a foreign land? Surrounded by animosity & hate? How might you try to overcome that? 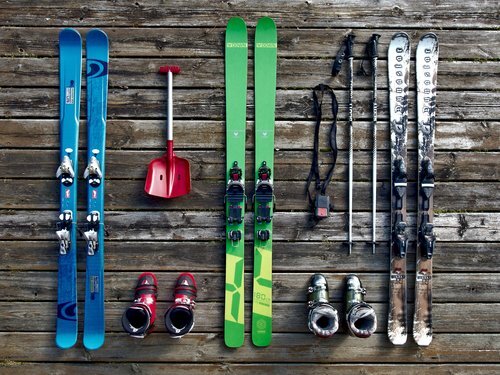 SPEND THE DAY ENJOYING THE SLOPES AND THE FRESH MOUNTAIN AIR! MUST BE REGISTERED FOR THIS EVENT TO ATTEND, CLICK HERE! Bring your skis or snowboard for a day on the mountain. We will be spending the morning hitting the runs then join together for lunch, ride to the top for a quick Shechayanu and enjoy each other’s company the rest of the afternoon on the mountain *All ability levels welcome! *We will meet at the JCC (6007 Oreg Ave) parking lot at 9:00 am and will carpool up to Eldora, we will return to the JCC at 5:00 pm for pick up. Ever wanted to make a tumblr-worthy blanket fort AND watch a movie in it?! Join Nevei teens this Saturday! Movie title TBD. Bring a friend, and we hope to see you there!! Did you miss last month's The Big Deal: Chopped? Do you love to bake? This is your chance to compete in our Purim style baking competition. Show off your skills and let's get creative in making Hamantaschen! The Mountain States Regional Office of the Anti-Defamation League’s (ADL) is thrilled to announce the 8th year of its student essay contest A Tribute to Moral Courage: Standing Up Against Injustice, thanks to a generous, anonymous donor. The 2018 contest is now open to submissions. Essays are due on Friday, February 23, 2018. Winners will be notified mid March, and they will be recognized at ADL’s Governor’s Holocaust Remembrance Program in Denver on April 24, 2018. Similar to years past, this essay contest uses the Holocaust as a backdrop, 7th – 12th grade students are encouraged to recognize those individuals throughout history who took a strong stand on a specific issue based on their personal beliefs or convictions, regardless of the danger or threat to their personal safety. Not only will students write about how that person’s moral courage has an impact on the world, but also and perhaps most importantly, how those actions have influenced their own lives today. Writers must be Colorado, New Mexico or Wyoming students in grades 7-12. Monetary awards will be granted to the top three winners in two divisions: Division 1 – students in grades 7-9 and Division 2 – students in grades 10-12. 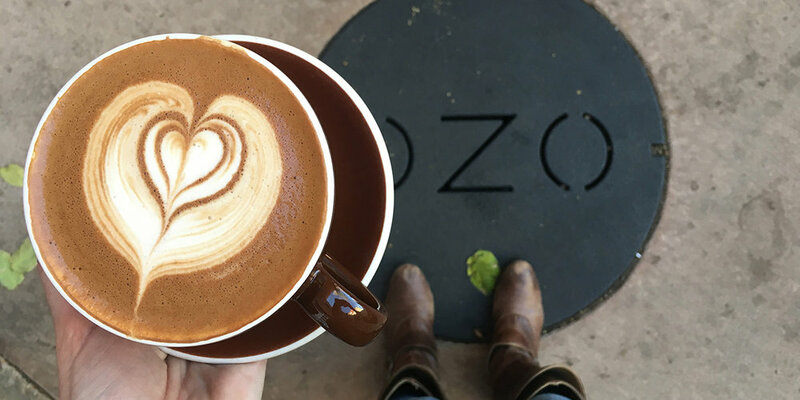 Join us at OZO after school for a Silver Creek get together. Back by popular demand we bring you Chopped! Mark your calendar and don't forget to RSVP for this sold out event! No need to have experience in the kitchen just an interest and some creativity in this fun challenge. Teens will get put into groups with a box of surprise ingredients and have one hour to prepare the tastiest and most creative dish. Sign up fast, this program is limited to 20 people!! Nevei Kodesh is hosting a Havaya Arts Camp Presentation! At Havaya Arts, campers learn from working artists. Our arts faculty are expert at teaching to a variety of levels, providing a truly camper-centered experience. Campers choose from one of our four core disciplines during each of our two-week sessions. Electives allow young artists to continue working in their core discipline or to explore another field. With access to various studios and outdoor spaces, all the tools and inspiration possible are right at our fingertips. Whether you go deeply into a chosen art form or you try something for the first time, you’ll grow as an intentional artist and amazing human being. Come learn about this new, exciting opportunity! Nevei Teens is a teen group at Nevei Kodesh created specifically to build community and learning opportunities for our awesome teenagers. Teen leaders, Noah and Shaine, will be planning fun and meaningful teen activities PLUS working closely with Gary, Boulder Jewish Teens, to connect our group with the many cool things teens are doing in the community. There is a small fee for this group to help us cover costs; however, this first night is no charge. We want teens to come and see what a cool experience this group can be for them. Get ready for the best Jewish summer ever! Nevei Kodesh is hosting Jewish Summer Camps' Presentations. Join the Colorado Jewish Overnight Camps to learn all about the thrills, benefits and awesomeness of Jewish residential camping. Meet the camp directors and professionals - Everyone is welcome! Join BJTI in partnering with the Muslim Jewish Alliance of Boulder County for a Christmas Day of Service. In the spirit of the season, let's give back to our Boulder neighbors and grow our interconnected, inclusive, and caring community. Hosted by the Muslim Jewish Alliance of Boulder County this day has two parts; Part 1 from 1-3pm and the other beginning at 5:30pm. BJTI will be participating in the first part of the day, which is focused around spreading holiday cheer with snacks and teachings. BJTI is inviting teens in our community to volunteer at the Teen table, where they will be creating gift bags from 1:00-3:30 pm with students from the Islamic Center of Boulder. Please note that there are other volunteer options aside from the Teen Table occuring between 1 and 3pm at the Islamic Center - please feel free to participate in any of these options. Note: Please bring hats, gloves, and other warm items that will be delivered later in the day to Atonement Lutheran Church. These items will be available to people experiencing homelessness. Every December BTY meets up for a white elephant style winter gift exchange. BTY’ers will gather for dinner and laughs at Kathmandu! An annual favorite! To find out more about BTY events join their facebook group here! Want more information about BTY events such as times, locations and RSVP info? Email Bryant Heinzelman with any questions. Latkes! Doughnuts! Chocolate Gelt! 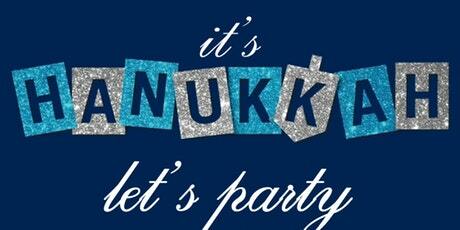 Come take a break and relax from school with a Chanukah celebration. Show up in your finest attire for a red carpet worthy evening to enjoy delicious dinner and some incredible talent from the teen community at our open mic night! All 8th-12th graders are welcome to come and explore leadership, social and volunteer opportunities at the jHub Opportunity Fair on Sunday, Dec. 3!